Cyber Monday: the most pointless marketing holiday of the year. The dumbest fake holiday of the year. 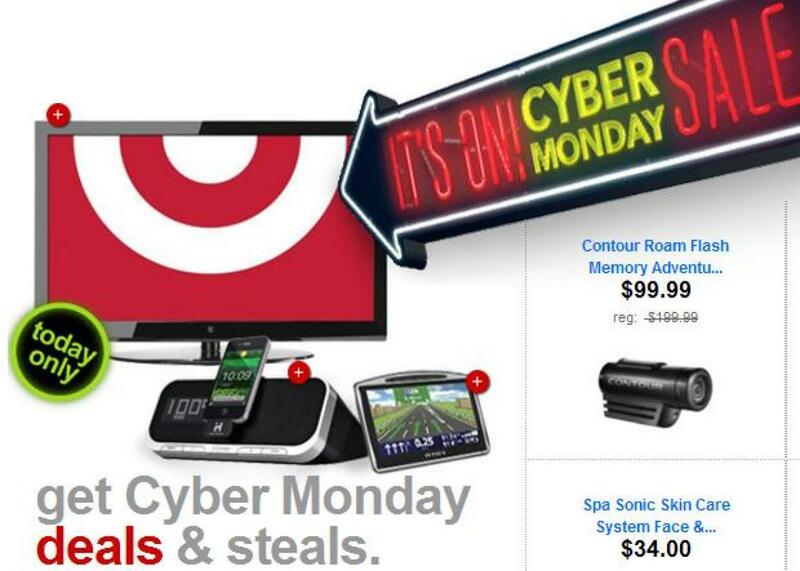 Target is fully embracing the obnoxious Cyber Monday. Cyber Monday is a sham and an anachronism. It’s the only fake holiday that’s even stupider than Black Friday, and we should all boycott this insult to our intelligence. Four days ago, we gave thanks for what we had. The next day—nay, that very same night—we were implored to figuratively bust the doors of Best Buy and Wal-Mart in pursuit of sales, presumably so we’ll have something new to be thankful for next year. (“I’m thankful for my wonderful wife, this delicious turkey, and that incredible extra 30 percent off I took on a not-quite-flat screen around this time a year ago.”) Then came Small Business Saturday, a well-meaning yet fundamentally annoying effort to get people to patronize all the merchants they managed to avoid on Black Friday. Now, on our first day back at work after stuffing our faces and unstuffing our wallets, we’re supposed to “log on” for yet more unbelievable, never-to-be-seen-again markdowns on the hottest remaining items of the holiday season. Humbug. The concept of Cyber Monday is as out of date as the moniker itself. In that seminal press release, the marketers noted that online sales had been spiking on the Mondays after Thanksgiving in recent years. The explanation: people taking advantage of their offices’ fast broadband Internet connections to buy up whatever stuff they had failed to purchase in stores that weekend. In other words, Cyber Monday was originally a response to the problem of slow home dial-up Internet. The problem is mostly history—nearly two-thirds of U.S. households have access to broadband today, about twice the 2005 rate—yet the zombie solution lives on. And it’s getting bigger every year. Why? Because retailers love nothing more than making consumers feel like they’ll be missing out if they don’t buy all the right stuff at the appointed time. Never mind that the whole point of online shopping is that you can do it at your own leisure, without having to miss work or school or Thanksgiving freaking dinner in the process. Somehow, the advertising industry has hoodwinked us into thinking that we have to drop everything today and make purchases or … or what? Let’s not forget that sales are retailers’ way of getting rid of stuff that they have to get rid of. If we don’t buy it today, they’ll find a new way to palm it off on us tomorrow, or the next day, or the day after Christmas. This Cyber Monday, it’s worth remembering the true origin of the term “cyber” —the one that predates even Gibson. It’s from the 1940s neologism cybernetics, derived from the Greek kybernetes, or “steersman.” Its English meaning, loosely: the science of control. It’s time for the public to retake the helm and steer this marketing monstrosity back where it came from. And may the Fates spare us all from Mobile Tuesday.